"In a time of universal deceit, telling the truth is a revolutionary act." George Orwell. The writer is a member of the Executive Board of the World Likud, member of Ariel University's International Board of Governors and Vice President of Children of Jewish Holocaust Survivors, Los Angeles. He practices law in Los Angeles. Several of Israel's most important politicians experienced dyspepsia when Deputy Defense Minister Danny Danon gave an interview in which he plainly stated that there is no majority in Israel's government in support of the "two state solution." 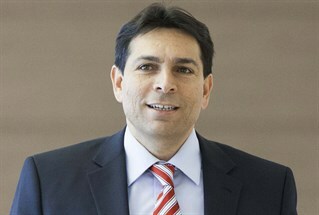 Danon indicated that Prime Minister Netanyahu's professed support for the creation of a Palestinian state is for public consumption only, as the Prime Minister knows the Palestinian Authority will never agree to accept a demilitarized state, an Israeli military presence in the Jordan Valley, Jerusalem as the undivided capital of Israel, no right of return, or even recognition of Israel as the Jewish state. Further, Danon explained that, in the unlikely event that a tentative agreement with the Palestinian Authority is negotiated by the Prime Minister, most of the government would vote to quash it. What audacity! How dare Danon expose the truth about the futility of negotiating with the Palestinian Authority? Danon's coldly accurate statements caused the Prime Minister's Office great consternation, so much so that it issued a statement to the media to the effect that Danon was wrong about Israel's official policy. Howls of outrage and even demands that Danon be summarily fired could be heard from the likes of Justice Minister Tzipi Livni, Environmental Protection Minister Amir Peretz, and Knesset Members Amram Mitzna , Nachman Shai and Isaac Herzog. Even the sober-minded and realistic Defense Minister, Moshe "Bogie" Yaalon, was reportedly upset by Danon's public comments. What are the reasons for the outrage? For leftist ideologues like Livni and Peretz, it is because Danon is so dismissive of the delusion to which they have been clinging so desperately for years. His comments render them irrelevant. For the Prime Minister, such a blunt statement makes it difficult to continue playing charades with those forces in the international community, including the Obama Administration and the European Union, that insist on pursuing a "peace process' that goes nowhere. After all, Secretary of State John Kerry is frenetically flying to and from the Middle East and pressing the parties for the resumption of negotiations between Israel and the Palestinian Authority, and clarifying that such efforts are wasted might be seen as insulting to the imperious, sanctimonious Kerry. So Prime MInister Netanyahu prefers the politically correct lie that he is eager to negotiate with Mahmoud Abbas to the uncomfortable truth that the "two state solution" is dead. The unalterable reality is that the conflict between Israel and the Palestinian Arabs, which is more accurately described as the one-sided and unremitting Arab war against Israel, is a zero-sum game. a member of the Executive Board of the World Likud, a member of Ariel University's International Board of Governors. HIstory teaches that Arab hostility is not the result of a territorial dispute or the absence of a Palestinian state. If it were, there would have been a peaceful resolution decades ago. Well-intentioned, determined political leaders throughout the world have attempted to devise a rational method of dividing the land for almost a century. The Arabs have violently rejected every effort, including the Peel Commission recommendations of 1937, the United Nations General Assembly Partition Plan of 1947, the absurdly generous offer made by Prime Minister Ehud Barak which was brokered by President Bill Clinton at Camp David in 2000, and Prime Minister Ehud Olmert's even more outrageously generous offer in 2008. There will never be peace like the amity that exists between the United States and Canada, but there can be peace in the sense of security resulting from deterrence. There was no obstacle to the establishment of a Palestinian state between 1948 and 1967 when Jordan occupied Judea and Samaria and Egypt occupied Gaza, but there was not even a thought of doing so. The reason, of course, is that the root of Arab hostility to Israel is found in Islamic doctrine, which holds that Israel is sitting on Islamic holy land. No Muslim can agree that even a square meter of holy land can be held by an infidel Jewish state. Israel is a painful bone in the Muslim throat that can never be swallowed and digested. Once this reality is accepted, Israel's leaders can adopt rational policies that achieve peace through overwhelming military strength. There will never be peace like the amity that exists between the United States and Canada, but there can be peace in the sense of security resulting from deterrence, i.e., a credible threat to retaliate with crushing force to acts of war or terror against Israel's Jewish citizens by neighboring Arabs. It is not perfect, but it is preferable to the bloodshed and murder that inevitably follow acts of appeasement. Danny Danon should be commended for his political courage in committing the "revolutionary act" of telling the simple truth. It's time for other Israeli leaders, and American Jewish leaders, to do the same. It won't be popular, and it carries political risks, but it is necessary. Note: The views expressed here are the author's and do not necessarily reflect the views of the ZOA.